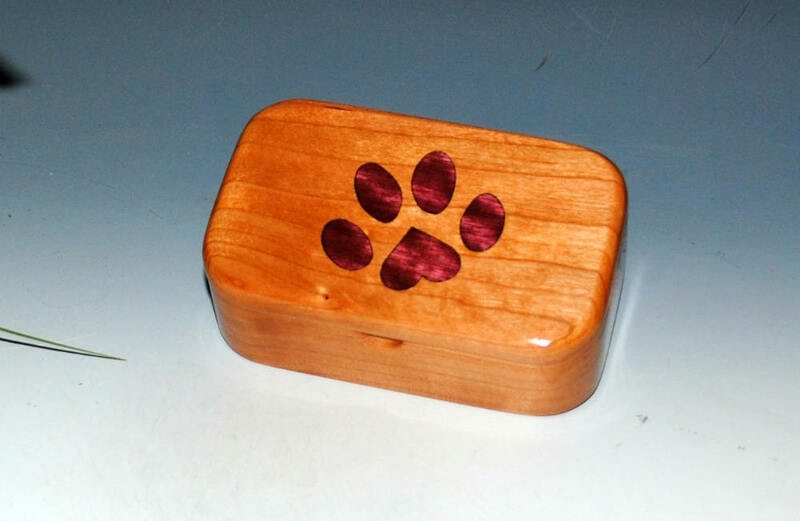 Wooden Box with Paw Print Inlay of Purple Heart in Cherry - Handmade Trinket Box For Animal Lovers ! 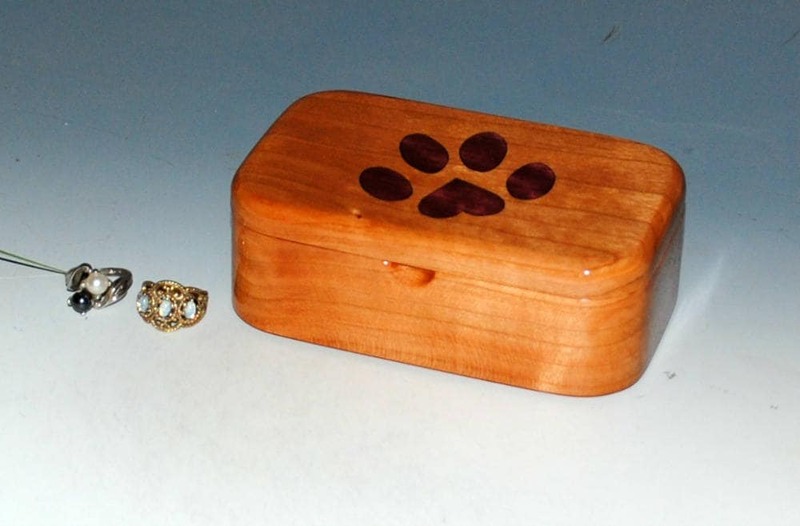 A small handmade wood trinket box of Cherry with a Purple Heart Paw Print Heart inlay. 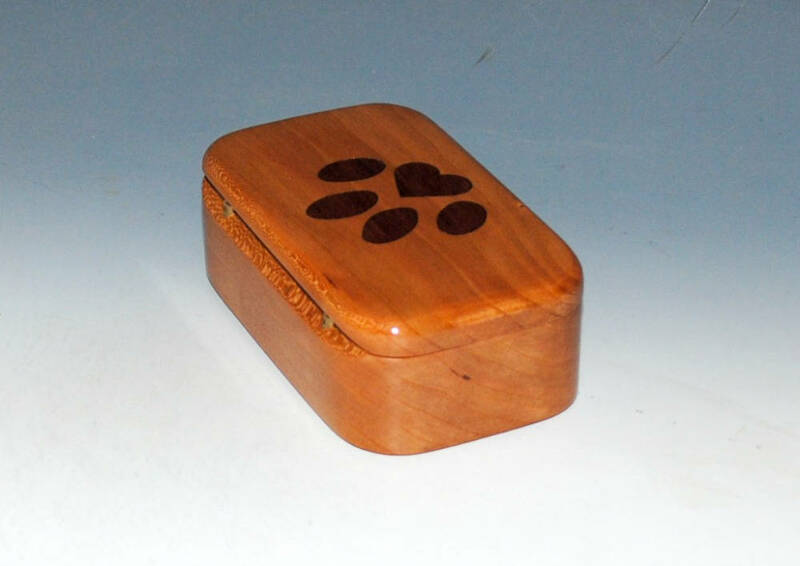 The paw print wooden box is the perfect gift for the cat or dog person or your vet. Exterior measurements are approx. 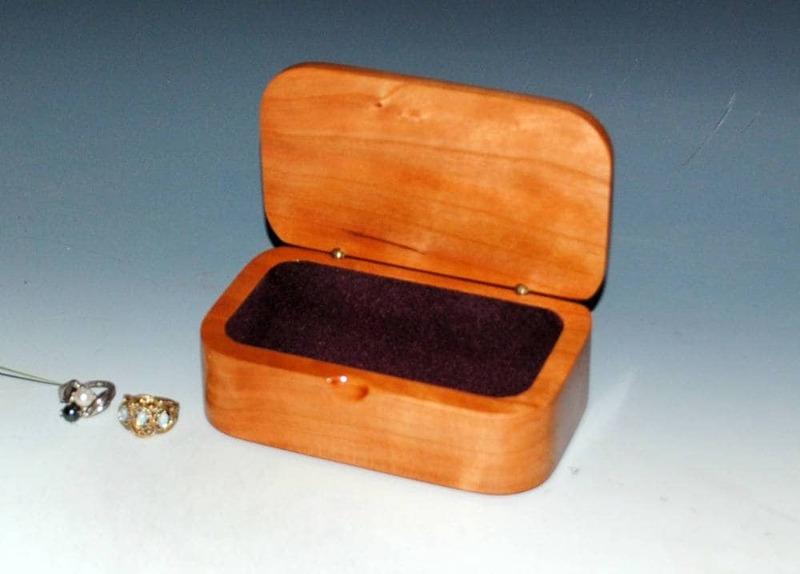 5" x 3 1/2" x 1 5/8"
There are no stains or dyes used on this wood box. 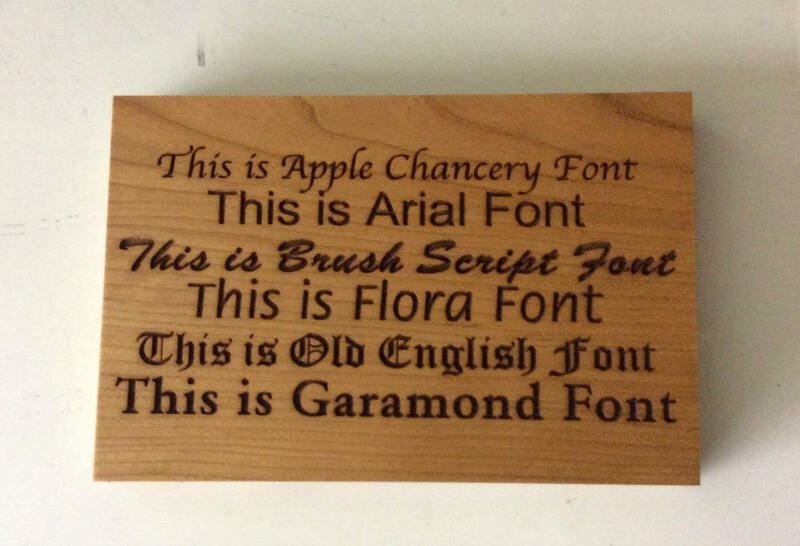 The colors were created by Mother Nature and we have used tung oil and polyurethane to enhance the wood's natural beauty. 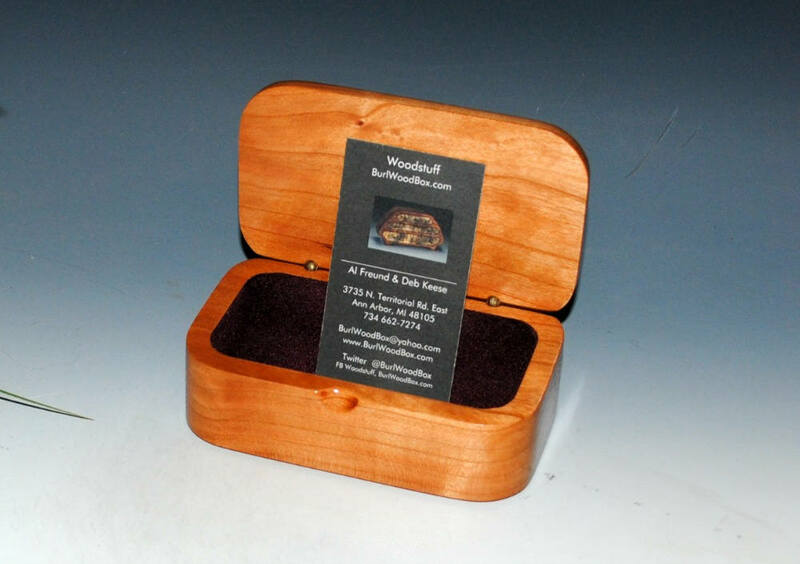 The interior of this box is lined with wine color ground rayon fibers. It is a blown in lining that clings to an adhesive that is painted on. 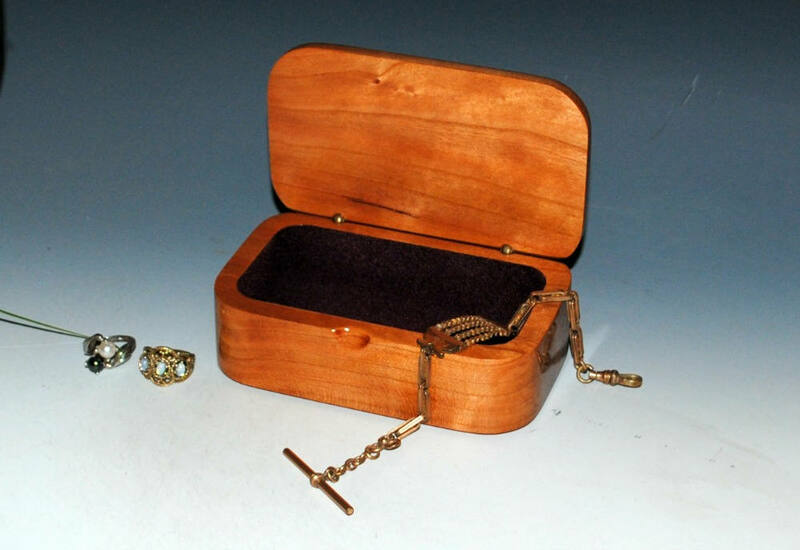 Brass barrel hinges give the box a clean finished appearance. Shipping via USPS First Class Package. 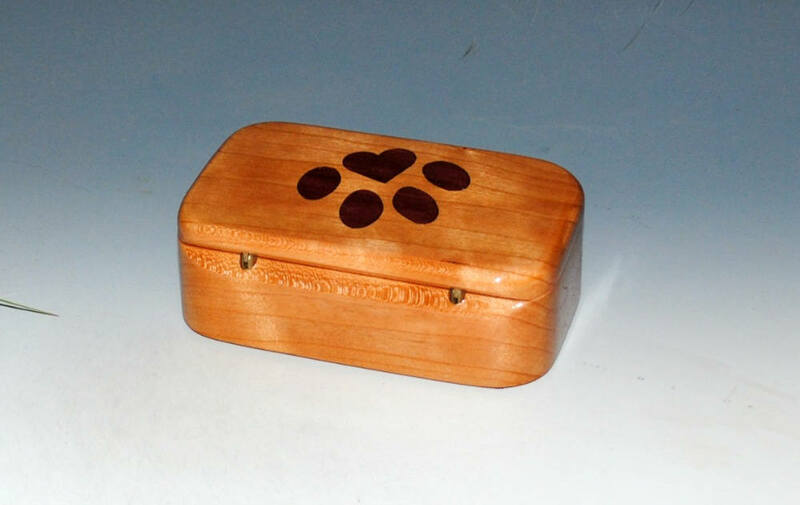 Other sizes and styles of our handmade wood boxes can be seen on our shop's main page, link follows. 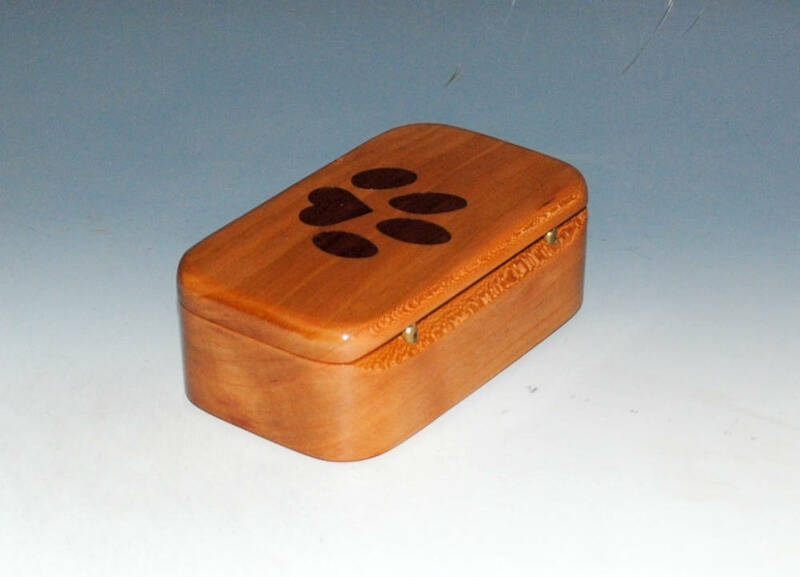 Thanks for visiting BurlWoodBox's Etsy shop.